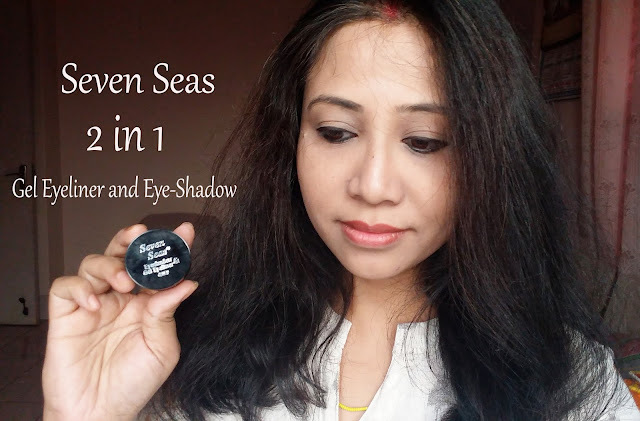 I'm so glad that I finally get a touch of this product Seven Seas 2 in 1 Gel Eyeliner and Eye-Shadow. 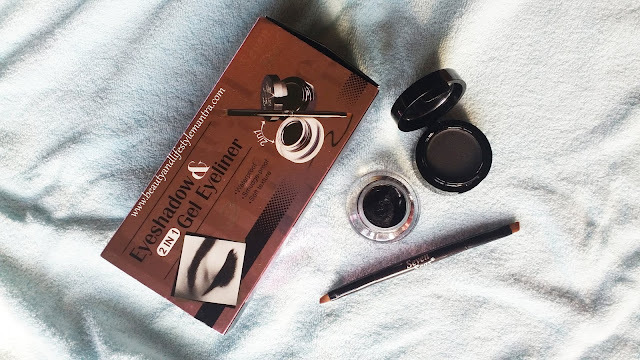 It's been a while since I really wanted this 2 in 1 Gel Eyeliner and Eye-Shadow actually it's a 3 in 1 product. How? Yes, I will tell you later. This Seven Seas gel eyeliner and eyeshadow 2 in 1 is a waterproof, smudge-proof along with a soft texture. The color of both eyeliner and eyeshadow is jet black. An applicator brush is provided within the package for the easy application. The packaging of this product is so adorable. The product comes in a very compact, sturdy and cute type small container. 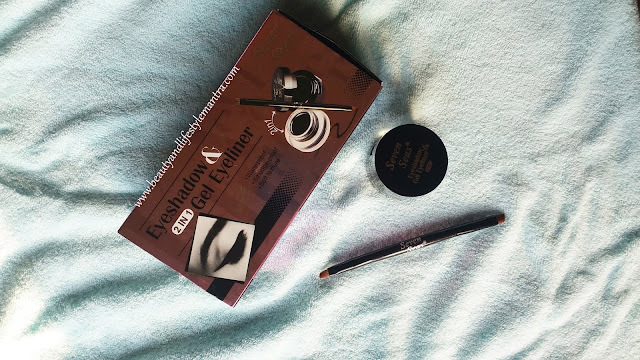 The gel eyeliner is packed in a cute little round glass jar and the eyeshadow is also packed in a very cute small black tub with a mirror attached to its lid. It also comes with a dual-sided brush for application. The brush is quite small but very easy to hold and use. The gel eyeliner has a soft and a creamy texture. I am really impressed with the formula. It glides onto the skin really smoothly and you can create a smooth edge with it. The pointy edges totally depend on the brush you are using It also dries quickly giving a matte finish and until or unless you really rub your eyes, it won't budge throughout the day. It is highly water/sweat resistant so if you splash your face with water or accidentally meets the rain, it is not going to run down on your face. 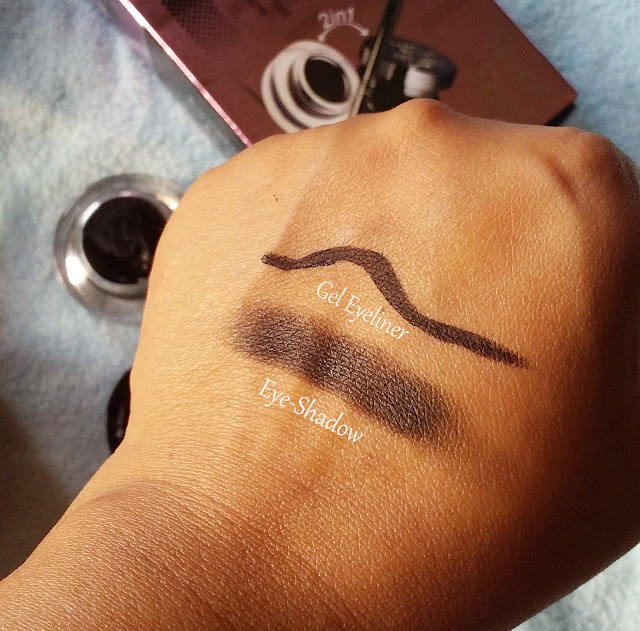 Now the eyeshadow part, it's also waterproof and creates a very good smoky eye with this gel liner you just need to blend it with a right blending brush. In the beginning, I said that it's a 3 in 1 Gel Eyeliner and Eye-Shadow, actually, it can be used in three ways. We know two uses of it, and its third application is you can use the eyeshadow as eyebrow concealer and it set on eyebrow very nicely and give a very good finishing. Overall Staying power for this gel liner is just amazing, it will not tone down or smudge throughout the day, for me, about 6 to 7 hours and more. If you want to remove it, you can either remove it with a cleanser first or just wash your face with your regular face wash and then remove the remaining with a cleanser, saves time. Even I have observed that eyeshadow also goes for around 6-7 hours without a smudge. This is the best multi-purpose eye product that I have used till date.